Our big goal for Huddly is to elevate communication with compelling and intelligent vision products for everyone. We build things that see. While traditional collaboration cameras are hardware-based only, Huddly is redefining the camera through a deep interdependency between the Huddly hardware architecture AND the Huddly intelligent software platform. There are no moving parts inside our camera. Everything is solved in the software. We’ve developed a powerful computer vision software platform that powers our very first product on the market – the Huddly GO. It is a software upgradable intelligent camera, with a unique small form factor, extremely easy to use. It fits all desktops and larger screens. It’s also platform-agnostic. Our team is developing an impressive set of smart features around data capture, analytics and computer vision, all driven by our software platform – something none of the competitors have done at the moment. These features will further enhance the Huddly GO and deliver new simplified and unique experiences for users of the Huddly platform. Just like a Tesla gets new software features over-the-air, so does the Huddly GO. Our platform is open for integrations and partnerships with different industry players and new business models via APIs. We are confident that we have a product that is wanted and needed in the market. We think about the problem in the context of two time horizons. First, there are big changes currently occurring in cameras, ecosystems and behavior. The problem remains that solutions are too complicated, the friction of going into and out of workflows is too high and the end user behavior has shifted to an anything, anywhere mentality. It is an age old problem really where we need to make solutions better, simpler and more valuable to the team. Second and longer term is a fundamental shift in technology that will address problems that we don’t even know we have today. Most people will categorize this area as artificial intelligence, deep learning, augmented reality, computer vision or other terms that can mean very different things to different people. Cameras will be key to addressing these problems. One area that will change quite dramatically is our interaction with collaborative assets. Huddly is reimagining the camera. Using the two time horizons as an example we are offering some unique solutions to the market. First, short term there is an enormous opportunity for a better camera that simply works. Today, most cameras don’t see enough of the scene. A camera that doesn’t see all of the people in a huddle room is hardly useful. We solve that problem. Sometimes you may not want to see the entire space and want to move directly to an area of interest whether it is people or objects. Huddly can that with a combination of a very dense image sensor and electronic pan-tilt-zoom. This happens in a very compact form factor that can be placed anywhere. In our view of the world, mechanical pan-tilt-cameras will become extinct regardless of room size. We have a software constructed image sensor pipeline which provides tremendous flexibility to the problem. All at a very disruptive price which both adds value and scale to users. And it’s software upgradable! Second, when you take a look at the longer-term opportunity of reimagining the camera then we will see all sorts of use cases that we can hardly imagine today. They will be based on some fundamental core abilities today that relate to determining location, 3D processing, and object recognition. That’s all I’ll say about that! But we need to get the first things right first and we are excited to bring Huddly GO to market. We are based in Oslo, Norway. We also have offices in the US (Palo Alto and Austin), Edinburgh (UK) and India (Bangalore). We were founded in 2013. 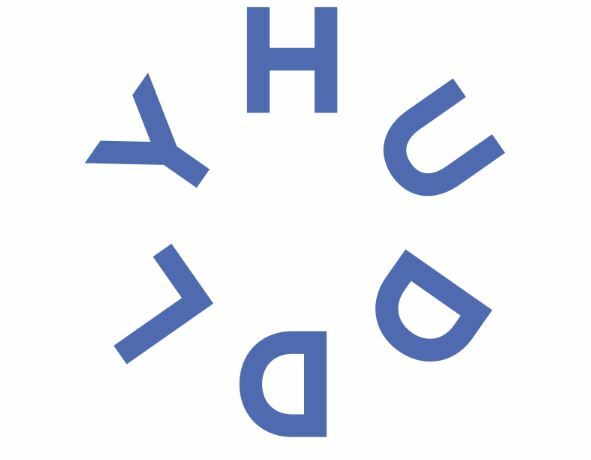 Huddly founders are Anders Eikenes (CTO) and Stein Ove Eriksen (CPO). Anders has more than 20 years of experience in the field of optical sensors and video camera systems. Before he joined Huddly, he worked as a Technical Leader at Cisco, and before that – as a Senior Optical Engineer at Tandberg, where he managed projects from idea to production. Today, Anders is the CTO at Huddly. Stein Ove Eriksen has deep technical and scientific knowledge and broad skills in user experience, design and hardware engineering. Before he co-founded Huddly, he did hardware engineering at Tandberg, and then worked as a Technical Project Manager R&D at Cisco Systems. Today, Stein Ove is the Chief Product Officer at Huddly. We have 33 employees in total and offices in Palo Alto, Austin, UK, Oslo and Bangalore. We have people who have worked in such companies as Cisco, Tandberg, LifeSize, Apple, Acano. Huddly is pre-product and shipping very soon. We did do a very successfully pre-launch program at the end of 2016 where we seeded our product to over 150 companies in US & Europe. We were able to obtain fantastic feedback that we were then able to roll into our production units. We have also had great traction with some large strategic customers. Some we can talk about, others we can’t quite yet. Interest in both the company and product has been high. On the funding side, we have raised approximately $20M ($3M from governmental grants). The latest funding we received from the government was to fund a deep learning development project. With our first product, the Huddly GO, we are targeting three types of customers. Second, it’s users that today use their personal computer or laptop to run group video meetings. Huddly GO turns any laptop into a pro-conference room, so wherever your job takes you and regardless of how many people you want to fit in one screen, it gets you covered. And finally, companies with distributed workforce doing daily stand-ups (agile development environments). For example, our startup friends at Kahoot!, Ardoq, appear.in and other technology startups use Huddly for daily standups. It’s really great to go to work day after day with this team. When I first joined the company, I had one on one meetings with most of the team. I asked them to describe the Huddly culture and they used words like: spirit, doing, smart, desire to succeed, one common goal, passionate, honest, fun, attention to detail, energy, never say no, creative, a little weird in a good way, knowledgable and many more. It’s just a great team to be apart of. Most of the team is located at the headquarters in Oslo, but we have a global presence. The team is small, but growing fast. We also have experience bringing measurable value to the market with previous successful exits at Tandberg, Acano and Lifesize. We really want to keep iterating on a simple model. Design and build great products. Find and delight customers. Build a great team. If we are able to do these three things, then the long term success of Huddly will take care of itself. In the pure digital world, I’d have to join the crowd and pick the iPhone (or any smartphone). It’s been the most disruptive piece of technology in my lifetime by far and has changed the social fabric of the world. Media streaming is right up there too. I’m a big fan of any tech gadget that has a permanent disruptive effect on incumbents and the delivering of media fits that category. Change or die. In the mixed world, I like what’s happening with drones (DJI Mavic) and electric and autonomous vehicles (Tesla/Bolt). In the analog world, I am a huge fan of Airstream. My wife and I have an Airstream Classic and despite the cool developments in augmented reality, it is even better to experience it out on the real world! Last year I read a bunch of science fiction including Daemon, Freedom, Ready Player One and Rainbows End. All of them had a common theme that extends where we are with VR/AR by a few generations. We will look at the current breed of head mounted displays and content as prehistoric in just a few years. I’m looking forward to the evolution of these types of devices in ways that clearly demonstrate real value. We are very responsive on Social Media, so if you don’t feel like sending an email just drop us a line on Twitter, Facebook or LinkedIn. If you prefer email then write to [email protected] – your email will then be transferred to the right person within the company. Previous ArticleWinners Announced – ARVR Innovate Conference Ticket Giveaway!